Karen Rennie is a Vice President for Medicare Compliance Solutions. In this role, she provides strategic consulting services for all aspects of medical management, quality improvement, CMS audit preparation, Model of Care (MOC) development and other areas of medical management program development and implementation. Karen brings over 15 years of experience in Medicare, Medicaid and Exchange products to help clients meet the ever-changing accreditation and regulatory demands. Karen’s background includes senior and executive health plan management experience for Medicare Advantage, Chronic Special Needs Plan (C-SNP), Dual Specials Needs Plan (D-SNP), Medicare Medicaid Plans (MMP) and Exchange health plans. She was also the principal of a managed care consulting firm for eight years. Prior to her managed care experience, she was the President and co-owner of a home health, home infusion and hospice company in Los Angeles. 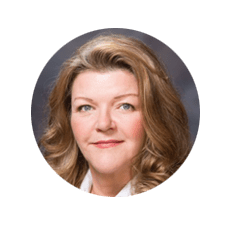 Karen has a track record of excellence in all aspects of medical management and quality improvement including successfully managing organization-wide CMS audit preparation, developing high-risk care management programs and risk adjustment programs.